Current weather conditions are causing the potential hazard for fire to increase. 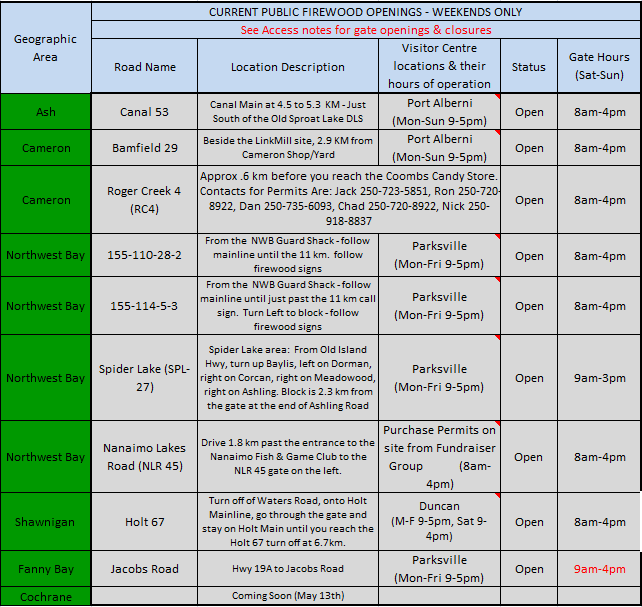 All firewood areas will be closed until further notice. Please monitor the blog for details on changes to this status.